The pair moved from Philly to small town Vermont when a neighbor ratted them out for their (admittedly illegal) backyard chickens. 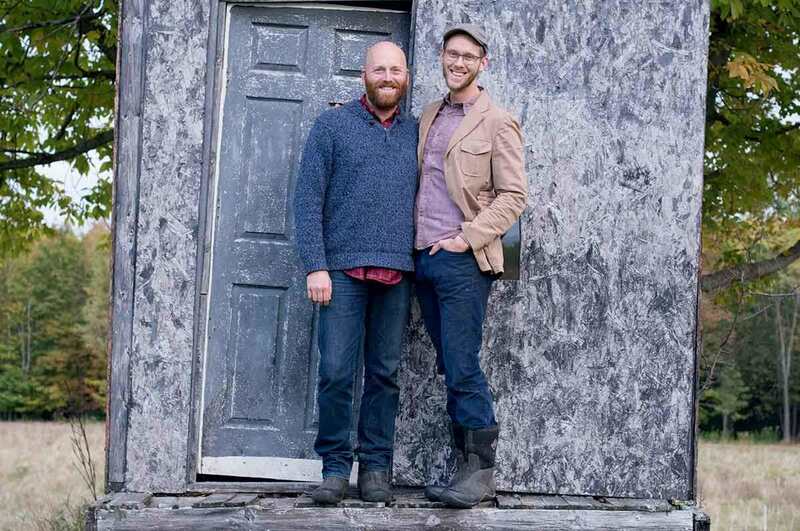 Bailey Hale (left) and Thomas McCurdy are in the process of converting this ice-fishing shack - which sat on their Vermont property when they bought it in 2014 - into a chicken coop. 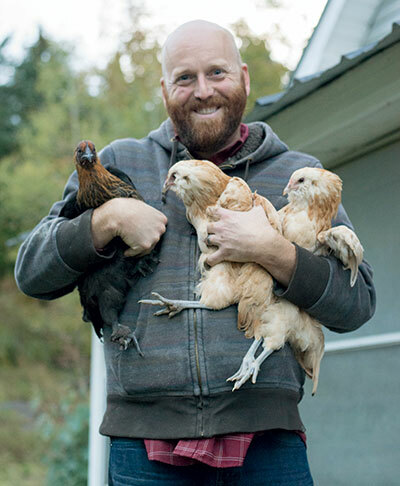 Today, the 39-year-old tends more than 100 Ameraucanas, Marans, and “Olive Eggers” on 49 acres in Vermont’s Northeast Kingdom, purchased with an inheritance from his grandmother Ardelia. He and husband Thomas McCurdy, 28, also raise Gloucestershire Old Spot pigs and Guernsey goats. But the couple have found financial success by focusing on their former careers. Hale does a brisk business selling sustainably grown peonies, dahlias, and other cut flowers to area floral designers and wedding planners. 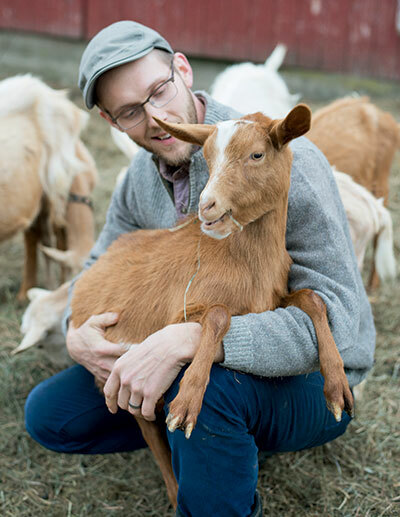 McCurdy, a trained pastry chef, transforms the farm’s pasture-raised eggs into cakes, scones, and cookies, which proved such a hit at nearby farmers markets that the pair recently launched an online bakery at ardeliafarm.com. McCurdy steals a moment with Elsa, a Guernsey goat named before the farmers had heard of the movie Frozen. Hale says hello to “the girls”: two blond Wheaten Ameraucanas and an “Olive Egger,” bred to lay deep-hued eggs.